Ruling Conservatives on West Lindsey District Council have come under fire for setting aside £350,000 for John Coupland Hospital in Gainsborough to buy endoscopy equipment. 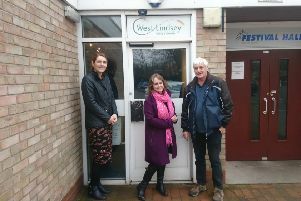 Council leader Jeff Summers said the deal discussed by policy and resources committee last week is not yet done, but an endoscopy unit at the hospital would save West Lindsey patients travelling to Lincoln, Doncaster or Scunthorpe. “We are not giving the money away. There will be interest charged. We are extending the medical facilities by making a loan which will be paid back with interest. Everybody wins,” he said.